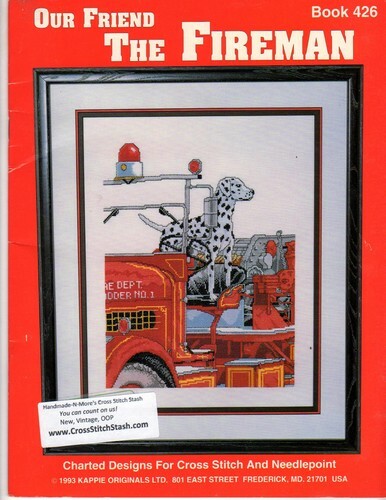 Kount on Kappie Our Friend the Fireman counted Cross Stitch and needlepoint Pattern booklet. Standing By, Junior Fireman, Vintage Fire Pumper, Waiting for the Call, Fire Call. Appears new. Store sticker on cover.